On July 21, 1922 in New York City, George Gilbert Holz, Jr. was born, the son of a dentist. (“Who else could build me such a close-fitting dry stone wall?” said George of his father years later.) As a youngster, he took full advantage of the offerings of The City (e.g., learning to appreciate the fine arts and the grandeur of dinosaurs at the Museum of Natural History). His undergraduate studies at New York University were interrupted by the “Great War” and Holz left to serve in the 7th Army, 103rd Infantry Division, in the European Theatre. Involved in extensive combat experiences, he held the rank of captain at age 23 and was awarded the Bronze Star and the Purple Heart. After discharge from the Army, he joined numerous veterans eager to get on with their careers, tuitions paid by the G.I. Bill of Rights. He completed his B.A. degree in Zoology at NYU in 1947 and stayed on at University Heights to study with Richard P. Hall. That period introduced him to other “bug-lovers” who studied with Hall (e.g. J. O. Corliss, V. P. Cirillo, W. B. Cosgrove, A. M. Elliott, J. J. Lee, J. B. Loefer), who long remained close colleagues. Inherently, or under the influence of his mentor, Holz later became known, like Hall, for his command of the English language and for his immaculate writing, which was characterized by precision, conciseness, logic, organization, irony, humor, wit, and pleasant readability. After his M.A. degree in 1949, Holz moved to Los Angeles with his bride, Mignon, to work on his Ph.D. at UCLA with Theodore L. Jahn (Hall’s first graduate student). At UCLA he strengthened his knowledge of the invertebrates, assisting for the neurophysiologist T. Bullock. After completing the Ph.D. degree in 1952, he remained at UCLA for a year as an Instructor of zoology, then joined the Department of Zoology of Syracuse University as an Assistant Professor. The faculty at the time included several other young professors (e.g. D. Kennedy, S. Gelfant, T. Cade) with similar strong academic backgrounds – enthusiastic, and devoted to their graduate program that was rigorous, nurturing, and caring. After promotion to Associate Professor in 1957, in 1959-60, he was also a visiting Associate Professor at Cornell University, commuting to Ithaca to teach invertebrate zoology while his friend J. Anderson was on academic leave. The next year (1960-61), Holz went on his own sabbatical to Copenhagen, Denmark, to work in Erik Zeuthen’s lab at the Carlsberg Biological Institute, where techniques for heat-synchronized cell division of Tetrahymena were developed. There he studied the effects of antimetabolites on this system with Zeuthen and L. Rasmussen (who later spent a year in Holz’s lab). In 1962, Holz accepted the position of Professor and Chairman of the Department of Microbiology, SUNY, Upstate Medical Center, a few blocks distance from Syracuse University. He remained in that position for 27 years until his death on September 17, 1989. He completely changed that department from one with only a teaching mission to one that emphasized research. Upon his appointment, his intent was clearly made – Justus Mueller (infamous editor of The Journal of Parasitology and who later became one of Holz’s closest companions), who was then spending much time creating the widely used Ward-Mueller Models, immediately quit that activity and converted back to his 7-day week in the lab. Holz was a disciplined, tough taskmaster who was adamant on doing what he believed was “right”. He made an indelible impression on his students (e.g., J. A. Erwin, J. L. Rosenbaum, E. S. Kaneshiro, A. White, H. Meyer, D. H. Beach, W. R. Fish), insisting on repeating experiments, even ad nauseum if needed, before being convinced of the conclusions. Although he was demanding and set high standards, he was totally supportive of his students and was “always there when you needed him.” Students and colleagues enjoyed the “poker-faced” wry humor that came with his verbal banterings. He claimed that he organized his well-known noon “contact” basketball games at the Medical Center to provide a vent for his students and staff against him (although the other players claim that they ended up with more bruises than he did). When W.D. Russell-Hunter became head of the Invertebrate Zoology course at the Marine Biological Lab, Woods Hole, he invited Holz to join the faculty to cover the Protozoa. Although Holz had spent previous summers at MBL (mainly in the library writing articles on data gathered during the academic year), from 1963 to 1968 he maintained an active summer research lab there, taught in the course, and participated in various activities at that scientific “Mecca”. Prominent parasitologists (e.g., C. Read, W. Trager, I. Sherman) also went to MBL and collaborations spontaneously formed with some of them on the lipid metabolism of marine helminths and malaria. 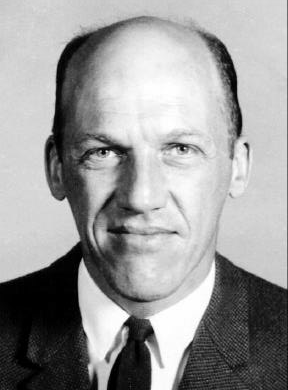 He was elected to serve on the MBL Board of Trustees (1969-73). Being at MBL was great for his passion for fishing. He thought nothing about taking his Boston whaler into the Hole in near hurricane weather – because he spied birds diving over a wildly leaping, snapping school of “blues”. His stamina and capacity and zest for life were also evident in his swimming, snorkeling, skiing, dancing, ping-pong, distance walking, museum viewing, and gourmet dining, to name a few examples. His skills in photography won him a prize at the Everson Museum of Art. Dr. Holz, early influenced by Hall and Jahn, had a life-long vocation in protozoan nutrition and culture. His research focused on lipids and lipid metabolism (first on free-living protists of all sorts; later mainly on parasitic protozoa and helminths) – but the breadth of his knowledge, scientific and non-scientific, was overpowering. He read voraciously; his power of concentration was impressive. Having contributed over a hundred articles and chapters in the scientific literature, his writings have a large audience. While a student with Jahn (co-founder of The Society of Protozoologists), Holz became involved in the development of the newly formed Society. Several of his first research reports on the nutrition of Chilomonas paramecium appeared in the then Proceedings of the Society of Protozoologists. In laters years he served on several Society committees: Auditing (1954), Cultures (1958-61, 1966-69), Executive (1963), Awards (1982–87) and Nominating (1985). He served as President (1963-64) and on the Board of reviewers of The Journal of Protozoology (1965-88). In 1963, he was awarded the Society’s Annual Ciliate Cravat Award for Outstanding Work in Ciliate Research. In 1969, he created The R.P. Hall Fund, the Society’s first endowed fund, to assist young investigators with publication costs, demonstrating his devotion to his former mentor, dedication to The Journal, and support of budding scientists. His other professional activities included serving on the editorial boards of Molecular and Biochemical Parasitology (1980-89) and Journal of Lipid Research (1983-88), and on the NIH Tropical Medicine and Hygiene (1974-78) and Cell and Molecular Biology (1981-83) Study Sections. He was a member of the American Society of Biological Chemists, American Society of Microbiology, American Society of Parasitology, American Society of Tropical Medicine & Hygiene, and Association of Medical School Microbiology Chairmen. Posthumously, Dr. Holz was awarded the President’s Award for Research at SUNY Health Science Center in Syracuse. Also, the school dedicated a conference room in his honor. THE GEORGE G. HOLZ, JR. AND ROBERT L. CONNER TRAVEL FUND was created in 1990 by Edna S. Kaneshiro and Howard E. Buhse, Jr. (Holz’s former postdoctoral associate) to honor these two men who contributed in a major way to the field and the Society. The endowment is to provide travel awards, especially to students and young investigators, so they can participate in meetings of the Society. Awards will be made at the discretion of the Awards Committee of the Society, a committee on which both men faithfully served for many years.